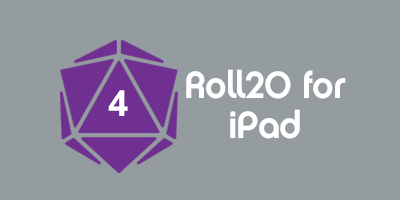 This page discusses how to access the full features of Roll20 via mobile tablet. Only Apple and Android tablet devices (including the iPad Air, Nexus 9, and more) are officially supported at this time. The page Roll20 for iPad and Android has information on the player-focused native tablet applications. How do I activate Mobile "Table on Tablet" Support? If you are a subscriber, it should "just work" when you visit the site via tablet. Do be advised that it is optimized for tablet, not phones, and we have no plans to attempt phone support. Sidebar Tap the button along the sidebar to hide or show the sidebar. Right-click menu Since there is no "right-click" on tablets, if you want to bring up the advanced menu for tokens (which you would normally do by right-clicking on a token), just tap and hold on the token for about a second and a half, then release. The advanced menu will pop up and you can proceed. Panning vs Selecting One finger is used for selecting and manipulating (moving, resizing, etc.) tokens on the tabletop. If you single-tap and hold on a blank area, you will perform a ping. Single-tap and hold on a token to bring up the advanced menu. Tap with two or more fingers at once, then drag to pan around the tabletop. Remember to hide the keyboard Mobile browsers have a tendency to show the keyboard as often as possible, which can make it hard to scroll and move around the screen. Remember that there is often a button on the keyboard which will hide it manually so that you can get your screen real estate back. Sound and music limitations There is currently a limitation in the Safari Mobile browser which will only allow it to play one sound at a time. This means that you can only play one jukebox track at once. Video Chat is Unsupported Mobile browsers don't currently support Flash or WebRTC, so it is currently not possible to use video chat while you are playing in Roll20. You may use Skype mobile (with your desktop counterparts using Skype for desktop) to have a voice chat going while you are using the mobile browser, though. This page was last modified on 2 February 2018, at 19:22. This page has been accessed 71,650 times.